Gail A. Landis, C.P.M. is Senior Vice President – Government and Community Relations for the Greater Reading Chamber Alliance (Berks County). She is accountable for leading legislative and regulatory agenda, strategic communications and advocacy initiatives to strengthen the economic vibrancy and quality of place for the region. She provides access to policy makers at all levels and collaborates with Regional Business Resource Partners along with establishing advocacy coalitions. Gail serves as an appointed member of the PA Minority Development Authority, South Central Transit Authority and Commuter Service of PA Boards. She co-chairs the public private partnership that engages many local officials, businesses and community leaders along with PennDOT focused on Berks Transportation + Transit Priorities (ReadingBridges.net). She previously facilitated the PA DCED Reading Keystone Innovative Zone (KIZ) and currently facilitates the Business Plan Competition for graduate and undergraduate students at the five local institutions of higher education focused on advancing and promoting entrepreneurial activity in the region. Her diverse background includes a dynamic, results-oriented career with progressive responsibilities at various organizational levels. She has extensive experience in program management, outreach initiatives and a proven track record in developing and executing effective legislative and regulatory strategies. As Director of Business Development and Government Relations for Herbert, Rowland & Grubic, Inc., a full-service consulting engineering firm, she advanced the firm’s competitive position, leveraging multiple service groups in nine regional offices. Gail is also an Independent Consultant, providing professional services that develop strategic approaches to advance initiatives, facilitate return on investment, promote efficiency and appropriate image to achieve success for the organization/institution. Projects include the Team PA Foundation Initiatives, PA Business Retention and Expansion Calling Program, Public Relations for Power Plant Development, Project Management along with political and non-profit fundraisers. Gail was part of the leadership team for Reliant Energy, Sithe Northeast, GPU GENCO as Manager of Government/Community Affairs and Business Development that transitioned corporate and regional assets, after divestiture, into a successful process based competitive organization. She facilitated orientation/inclusion of employees affected by the acquisition/merger and directed initiatives to align 100 operating facilities and 8 development projects in 9 eastern states. As Director of Procurement, Transportation and Logistics for GPU Companies and Johnstown Corporation, she was accountable for establishing new and reengineered procurement and related processes, to facilitate efficiency and the competitive position of regulated, unregulated and private industry. Gail implemented innovative policies, to promote responsible decision making, protect the company’s liability and ensure legal and business compliance. A graduate of the University of Pittsburgh, Principles of Public Utilities Operations and Management and Executive Public Policy Institute -EEI-Washington Campus, Gail is a Certified Purchasing Manager (NAPM), Novation Mentor and Sean Delaney Facilitator. She completed the Penn State Executive Institute, Penn State Financial Leadership Institute, Responsible Decision Making, Ethics, Contract Law, Negotiations, Crisis and Media Communications Management courses along with participating in the PSMJ Project Management, Worldwide Luminary Leadership Series, Federal Government Contracting and PA Rural Summit. 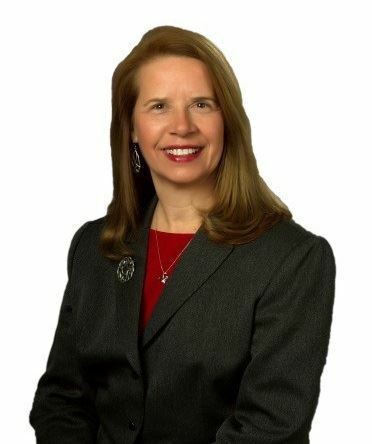 Her professional affiliations and Boards include: PA Chamber Business & Industry, U.S. Chamber PA Manufactures Association, National Manufacturers Association, PEDA Advocacy Committee, Compete PA, PA Economy League: Berks County Committee, American Chamber of Commerce Executives, Berks County Smart Growth Alliance, SRTP/Commuter Services Board, Rotary International – Wyomissing West Reading Past-President. She is a recognized leader in regional and statewide initiatives associated with economic development and education, industry alliances, community and professional associations and a variety of charitable endeavors including Katrina/Iowa Flood Mission Trips and Prayers & Squares Ministry. Cardolite Corporation, the world's largest cardanol producer, recently relocated from New Jersey to Pennsylvania after acquiring a Bristol Township, PA, facility for $3.13M. Cardolite Corporation is a privately held developer and manufacturer of the world's largest variety of products derived from cashew nutshell liquid (CNSL), a renewable natural resource, and has thirty years of experience in the specialized production of quality CNSL-based materials. Bucks County Economic Development Corporation (BCEDC) facilitated a loan of $1.25M through the Pennsylvania Industrial Development Authority to assist with the purchase of the building. BCEDC is a state-certified economic development organization established in 1958 to support economic growth in Bucks County. BCEDC offers low cost financing options for land, building, machinery and equipment. These and other incentive programs offered through BCEDC contribute to a strong and vital economy for Bucks County and, in return, create and retain jobs for Bucks County residents. Click here to read Governor Tom Wolf's proclamation. CaptiveAire, the nation's leading manufacturer of commercial kitchen ventilation systems and an emerging manufacturer of HVAC equipment, is doubling the size of its Bedford plant. The company opened the doors of its Northeast Manufacturing Center in the Bedford Business Park in 2008. At that time, CaptiveAire purchased a 67,000 square foot spec building and expanded it to 84,000 square feet. CaptiveAire will now add an additional 84,000 square feet to the facility. The total project cost is $11M with $5M to be invested in building construction and $6M for new equipment acquisition. A $2M loan through the Pennsylvania Industrial Development Authority (PIDA) will assist in funding a portion of the building construction budget, with the balance being leveraged from private sector funding sources. Lots in the Bedford County Business Park mostly range from 3 to 5 acres, with the largest lot comprising 80 acres. Each lot enjoys the Keystone Opportunity Zone designation and the largest among them is fully permitted for up to a 780,000 square foot facility. 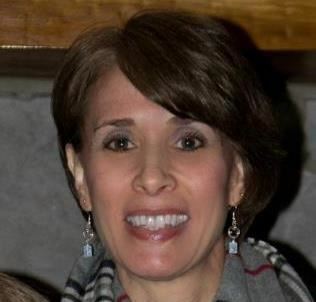 Ms. Bisbing has been the Director of Marketing for the Pocono Mountains Economic Development Corporation since May 2001. Prior to that, Ms. Bisbing spent 14 years in workforce development with Monroe County Job Training and Monroe County CareerLink. As Director of Marketing, she is responsible for new business attraction, business outreach and retention, local and regional marketing initiatives, data management and grants administration. She has a BA in Political Science and Journalism from Indiana University of Pennsylvania and currently holds an individual certification from PEDA. She serves on the PEDA Board of Directors and is currently the Chair of the Conference Committee. She has served as Chair of the Marketing Committee for Penn's Northeast and is currently Chair of the Board. She is Immediate Past Chair of the Board of the United Way of Monroe County and Secretary of the Board for Pocono Services for Families and Children. She was appointed to the Tobyhanna Township Planning Commission in 2014 and currently serves as Vice Chair. She is a lifetime resident of Monroe County and lives in Pocono Lake with her husband, Donald and Holly, her English Springer Spaniel. She has two children; Travis, age 27, and Meredith, age 22. Click here to access the Young Professional Scholarship Request Form for PEDA's spring conference. These scholarship opportunities are made available through the generosity of FirstEnergy Corp and Team Pennsylvania Foundation. VERNON TOWNSHIP — A more than $13 million expansion project at Acutec Precision Aerospace Inc. will add 60 new jobs during the next three years. Acutec has committed to investing at least $10.7 million, creating 60 new jobs during the next three years while retaining 450 current employees, Gov. Tom Wolf said in announcing a state grant and tax credits for Acutec on Tuesday. Acutec makes components and subassemblies for aerospace and space industries companies. Acutec is getting a $250,000 Pennsylvania First grant from the state Department of Community and Economic Development plus another $120,000 in job creation tax credits to be distributed as the new jobs are created, according to Wolf. Among the projects a Pennsylvania First grant may be used toward includemachinery/equipment, job training, infrastructure, land and building improvements, acquisition of land, buildings, rights-of-way, working capital and site preparation. Acutec plans to add 44 percent more space at the Crawford Business Park in Vernon Township when construction and renovations are done by the end of 2018. Acutec currently occupies 188,735 square feet at the business park but will add 70,000 square feet of new manufacturing space plus build 13,000 square feet for raw material storage and its saw department. In May, the Pennsylvania Industrial Development Authority approved a $2,248,000 loan through the Economic Progress Alliance of Crawford County to do renovations at the Crawford Business Park in Vernon Township to add the 70,000 square feet of manufacturing space. The company’s financial commitment of $10.7 million plus the state loan, the state grant and tax credits puts the total project at $13.3 million. Growth in the aerospace industry — including the development of both the Boeing 737MAX and Airbus A320NEO airplanes — is what’s been causing Acutec to take off, according to Elisabeth Smith, the company’s president and chief executive officer. “As the international aerospace industry, including commercial, defense and space, continues growing, this proves to be the ideal opportunity for expanding the capacity of our Meadville facility,” Smith said. Acutec’s saw and material handling department will be moved into the new space while its stock room and packaging will be shifted from the shop floor to increase manufacturing space. Relocating the saw and material handling department will allow the firm to handle up 20-foot long sections of specialized aerospace metals compared to just 12-foot lengths now. The department relocation will give the firm use of two large cranes — one capable of lifting 27 tons and another capable of lifting 20 tons. Acutec currently has a 2-ton capacity crane. It also will permit the firm to unload materials directly off trucks inside the building. “It’s going to greatly increase efficiency,” said Rob Smith, who is executive chairman of Acutec Precision Aerospace and Elisabeth’s father. “We’ll use the new manufacturing space for existing customers, but we’ll use it to sell to new customers,” Elisabeth Smith said of the new capacity. “It’s kind of ‘build it and they will come.’” “It’s a big selling point to have space available for new (manufacturing) programs,” Rob Smith said. Construction is being done in three phases with the initial phase completed in May when 5,000 square feet was renovated for a new classroom, information technology department, a conference room, and a piston assembly area. The second and third phases — the 13,000-squarefoot building for raw material storage and the saw department and more than 70,000 square feet of renovations for additional manufacturing — will be done at the same time. Both of those projects are expected to be done by year-end. In making the announcement about Acutec’s grant and tax credits, Wolf called the company’s expansion great news for the firm, for workers in the area and for Pennsylvania. Jim Becker, executive director of the Economic Progress Alliance of Crawford County which owns and operates the Crawford Business Park, called Acutec an impressive company. Elisabeth Smith said it’s Acutec’s employees — past and present — who have made the firm what it is. “For 30 years we have been based in Crawford County, and we are thankful for the dedicated workforce in this area that has made this possible,” she said. Keith Gushard can be reached at 724-6370 or by email at kgushard@meadvilletribune. com. Harrisburg, PA– Governor Tom Wolf today announced that $2.5 million is available for Teacher in the Workplace grants that will partner school districts with local businesses, resulting in new career opportunities for students. Creating new opportunities for students and workers is an essential component of the governor’sPAsmart initiative. A new way to improve coordination between state agencies, cut red tape, and invest in people and business, PAsmart expands innovative job training for students and workers. A total of $2.5 million in funding is available through the Department of Labor & Industry (L&I) to eligible organizations who partner with their local workforce development board to implement Teacher in the Workplace programs. These programs partner educators with local businesses to share and exchange information that can then be used to enhance students’ classroom instruction. Teacher in the Workplace programs allow teachers, counselors and school administrators to interact directly with industry and business leaders to learn about industry trends, needs and opportunities. This first-hand experience and knowledge can then be used to enhance classroom instruction, student learning, and career readiness. The Teacher in the Workplace grants are funded through federal money made available from the Workforce Innovation and Opportunities Act. Eligible applicants include local education entities, businesses and chambers of commerce, labor organizations, postsecondary institutions, community-based organizations, public libraries, trade associations, and economic development entities. Additional details and the grant application can be found onL&I’s website. The application deadline is December 21, 2018. For more information about pursuing an education and career in Pennsylvania at any stage of life, visitPAsmart. Is your community interested in hosting PEDA's 2020 fall conference? Our RFP period is now open. Click here to access the RFP. As you know, most development projects require permits or authorizations from DEP and the following tools are intended to help streamline the process for applicants. If you are considering a brownfield remediation or redevelopment project in 2018, please take a look at DEP’s resources for those projects related to Act 2 and funding opportunities. DEP Brownfield Success Stories: Undergoing an Act 2 cleanup can be an overwhelming process, but you will see through this webpage that many communities and developers have successfully undergone the Act 2 process, received an Act 2 Relief of Liability, and have brought many acres of once contaminated, blighted property back to productive use. DEP looks forward to assisting you in doing the same. DEP’s Brownfield Development Guide: To help you navigate the process. Industrial Sites Reuse Program (ISRP) Funds: ISRP offers grant and low-interest loan financing to perform environmental site assessment and remediation work at former industrial sites. The program is administered by Department of Community and Economic Development (DCED) with close oversight of technical issues including work plan by regional DEP office. Program guidelines and application instructions can be found here. Note that the application process begins with a Letter of Intent being submitted to DCED. This is outlined in the program guidelines. ISRP is available to parties including EDCs who do not own the property for assessment activities. You must be the property owner in order to be eligible for remediation funding. EPA Brownfield Grants: A list of EPA’s Brownfield programs. Western PA has had some luck accessing these competitive dollars. Lawrence County EDC received an assessment grant a few years ago and Greenville, Mercer County and a number of Pittsburgh area communities were recently awarded an EPA assessment grant. Press release. Finally, DEP works closely with its sister agencies to get make sure communities and clients are connected to the resources that they need. PA DCED recently launched its new PA Business One-Stop Shop. Whether you are thinking about starting your own business, expanding your existing company, or are considering a move to the Keystone State, this site will provide useful information to help you work smart and live happy in Pennsylvania.